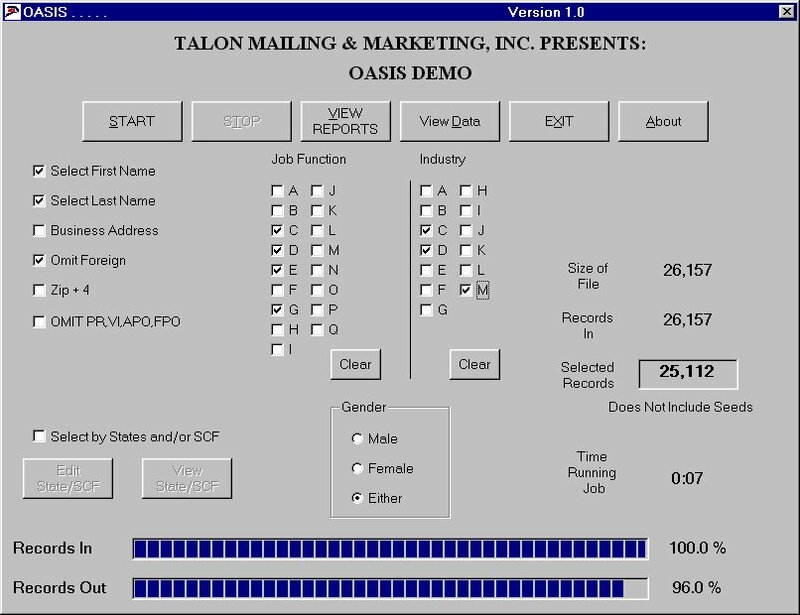 Welcome to the Talon Mailing & Marketing August 2016 Newsletter. Research shows that 41% of people over 65, don't use the internet at all. For marketers, that’s a huge segment that can't be targeted by email or social media. Are you part of the 33% who find direct mail the most effective way to remember a product? How about the 79% of consumers who will act on direct mail immediately? Or maybe you’re part of the 74% of consumers who can’t wait to find out what’s in their mailbox? If so, then no doubt you’re already well aware that direct mail is far from dead. With the online consumer having an attention span of around eight seconds (yes, less than a gold fish), the online landscape exploding into a fierce battle of the brands and email marketing failing to hit targets for many businesses across the country, it may be time to the consider bringing direct mail marketing back into the fold of your strategic marketing plan. If you’re still skeptical of the results direct mail can harness, here are five reasons why direct mail is very much alive and kicking. Is there a marketing method that offers a more tangible solution than direct mail? With the current generation bombarded with video ads, remarketing and PPC every time they even touch a screen; direct mail offers you the chance to get something real into the hands of your audience creating a connection that just isn’t the same with email or other online advertisements. Plus, once the audience opens a piece of direct mail, studies show they are far more likely to take the time to look over the offer than they would in comparison with email marketing. While one part of marketing is your ability to communicate your message clearly, the other side is about building relationships with your customers. The key to building relationships? Getting personal and showing that you both know and understand your customer. The results can be staggering too. Studies successfully showed that using personalized direct mail as part of a wider digital strategy can see response rates for a campaign hit over 20%. You won’t find those numbers with online marketing. With an estimated 81% of brands using social media to build awareness around their brand you cannot be blamed for looking further afield than a Facebook page for your brand building strategies. While direct mail is also a competitive discipline, there is less direct mail going out than ever before and with nearly 80% of consumers saying they will open all their postal mail (including the so called ‘junk mail’) you can be almost certain that your message will end up with the right eyes on it and less competition with it. While some will find it super helpful to receive offers after they’ve abandoned a basket, others will fail to receive those emails or just find it downright creepy. ‘How did they get my email address? !’ While I’m sure some people will feel the same after receiving a piece of direct mail, studies have shown that direct mail sent within 24 hours of an abandoned online basket can have a conversion rate of over 40% and outperforms email by 16%. The results of multimedia marketing can be seriously impressive and direct mail can play a pivotal role in reaching certain customers offline that refuse to be contacted online. Ok, so while my Grandad may be super tech savvy, recent research shows that 41% of people aged over 65 years do not use the internet at all. For marketers, that’s a huge segment that cannot be targeted using PPC, Email or social media. Direct mail allows you to keep your offers open to all audiences rather than just the majority who fit your online strategy. Forget the postcard, catalogue or pamphlet, 2016 direct mail campaigns are all about getting creative and delivering something that your customers cannot resist. From British Gas delivery brews to businesses across the country to businesses even using Game of Thrones to improve their campaigns, direct mail allows for a wealth of tangible creativity that just doesn’t exist online. To stay up to date, I subscribe and listen to several fantastic marketing podcasts. The following are a few of my favorites that will help you, too. I am a big fan of podcasting, which explains why I have written about the medium several times in The Tennessean over the years. I have hosted and produced multiple podcasts, and I have even co-hosted a workshop to teach people how to create a podcast from scratch. 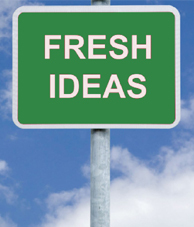 As a digital marketing consultant, I need to stay abreast of new trends and technologies to recommend to my clients. To stay up to date, I subscribe and listen to several fantastic marketing podcasts. The following are a few of my favorites that will help you, too. Whether you are building your business or career, everyone needs to be a better marketer. I am confident these seven podcasts will help you achieve this. If you enjoy the shows, be sure to leave a review in iTunes. Consider paying for the free advice with some positive words and a five-star rating. I know each host will love you for it. In this age of ultra-technology, direct mail marketing is showing no sign of being out-dated. It’s still regarded as the most effective marketing tool. Are you are stuck with new era digital marketing challenges like email deliverability, bounce rate, maximum opens or clicks, to CTAs? If yes, then just pause for a while and get back to the old school method of marketing that is 'Direct Mail'. Yes, in this age of ultra-technology, direct mail marketing is showing no sign of being out-dated. It’s still regarded as the most effective marketing tool. But yes, direct mail has transformed immensely from sending postcards, fliers, pamphlets, catalogues - it has evolved to send relevant content and personalized direct mails. Send a relevant message at the right time to the right customers and prospects by using customer segmentation and profiling, as this makes your recipients more likely to connect and generate qualified leads. Optimize your direct mail marketing campaigns by using an updated and verified mailing list, and track the response rates based on your customers’ behavior or buying patterns. Target your customers with customization and personalization depending on their socio-economic demographics, lifestyle attributes, and geo-location and buying patterns. Send direct mail messages using recipient’s correct and full name, along with highlighting sections of the catalogue which are relevant to your customers’ interest. Make sure that you do not forget to include direct marketing in your overall 360-degree marketing campaigns, along with digital marketing. Do make optimum use of your mailing address and send out multiple marketing campaigns in sync with your direct mail communication. Get email addresses of your direct mail recipients and email them an online coupon codes, sale offers using related or similar images to your social media and direct mail campaigns. This will give your customers and prospects a signal that they are on the same page of communication. Just like digital marketing campaigns, even your direct mail messages must contain effective calls-to-action (CTAs). These CTAs should be short, crisp, and yet compelling enough for your readers to take some action, like using the code given, visit your social media profile, or send an enquiry through an email. Not only in digital marketing, but also in direct mail marketing, catchy CTAs bring maximum response rates and business opportunities. Make sure that you provide more than one way for your message recipients to respond. Create a hassle-free preference for customers to respond, which includes as many ways to respond. Apart from your business mailing address also mention another point of contact information like QR Code, coupon code, scratch card, official website, and social media URLs with icons and username, email address, and contact numbers. The way your customers or prospects read a message on an email is different than they read in direct mail. Direct mails have more room to place marketing content in an effective manner. Ensure that your message content is focused on customers highlighting the benefits they get on buying it, rather than only the features of your products and services. Also, its a great way to flaunt what your loyal and regular customer has to say about your company and its products in ‘testimonials’. These authentic testimonials (along with pictures) are very effective and generate qualified leads. These physical mails give better and complete information about company and products. These top five best practices are different ways to achieve marketing goals by providing enough options for customers to respond or act on our marketing messages. A key to successful direct mail marketing is to have complete, correct and clean customer databases, as without that either a message will be undelivered, or contain content which your recipients may find irrelevant. 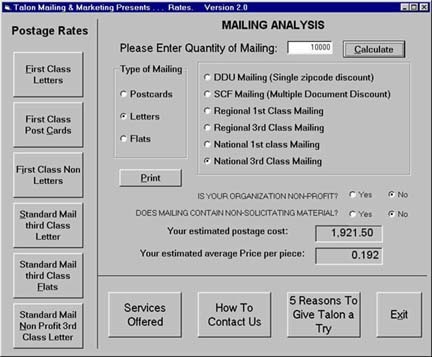 With a high-quality mailing address database, you can launch an effective direct mail campaign by sending relevant and personalized messages to your customers and prospects. Wednesday August 16th, 2016. Yankees vs. Blue Jays 7:05 PM. typeanything.io - A free and awesome typography tool to create and test font combinations for your projects. shinetext.com - Daily tips for self-fulfillment texted to you every morning. elsaspeak.com - Your virtual pronunciation coach. roadie.com - Senders post details and pictures of the item they want to send and drivers make offers based on location, price, ratings and reviews. Double acceptance puts both sides in control. nerdwallet.com - Compare credit cards and earn hundreds of dollars in sign-up bonus points. iflscience.com - The funny side of science. Quotes, jokes, memes and more. They're dedicated to bringing the amazing world of science to you.